Watt's Up? : Why do I measure voltage to earth ground on a power supply with a floating output? Occasionally, one of our power supply users contacts us with a question about voltages measured from one of the power supply output terminals to earth ground (same as chassis ground). All of our power supply outputs are floating with respect to earth ground. See my previous post about this here. In that post, I stated that neither output terminal is connected to earth ground. To be more specific, no output terminal is connected directly to earth ground. 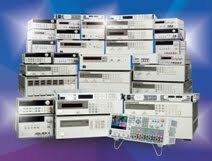 We do have internal components, mainly resistors and capacitors, connected from each output terminal to earth ground. These components, especially the caps to ground, help mitigate issues with RFI (radio-frequency interference) and ESD (electrostatic discharge). They help prevent our power supplies from being susceptible to externally generated RFI and ESD, and also help to reduce or eliminate any internally generated RFI from being conducted to wires connected to the output terminals thereby reducing RFI emissions. So even though our outputs are considered floating with respect to earth ground, there frequently is a DC path from at least one of our output terminals to earth ground. It is typically a very high value resistor, such as several megohms, but could be as low as 0.5 MΩ. This resistor acts as a bleed resistor to discharge any RFI or ESD caps to earth ground that could be charged to a high float voltage. As an example of a power supply with a resistor to earth ground, the Keysight N6743A has 511 kΩ (~0.5 M) from the minus output terminal to earth ground. This resistor was responsible for the voltage measurements to earth ground observed and questioned by one of our power supply users. 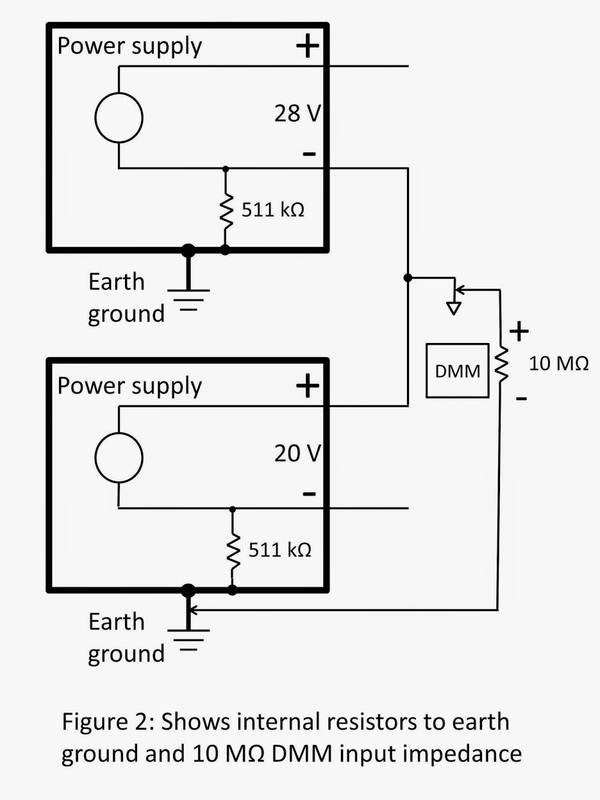 He was using this power supply in the configuration shown in Figure 1 and measured 9.7 Vdc from his common reference point to earth ground (again, same as chassis ground). He understandably did not expect to measure any stable voltage between these points given that the output terminals are floating from earth ground. But once we explained the high impedance DC path from the minus output terminal to earth ground inside each power supply (see Figure 2), and the 10 MΩ input impedance of his DMM, the measurement made sense. The input impedance of the voltmeter (DMM) must be considered to accurately calculate the measured voltage. This is especially true when high impedance resistors are in the circuit to be measured. Figure 3 shows the equivalent circuit which is just a resistor divider accounting for the 9.7 V measurement. 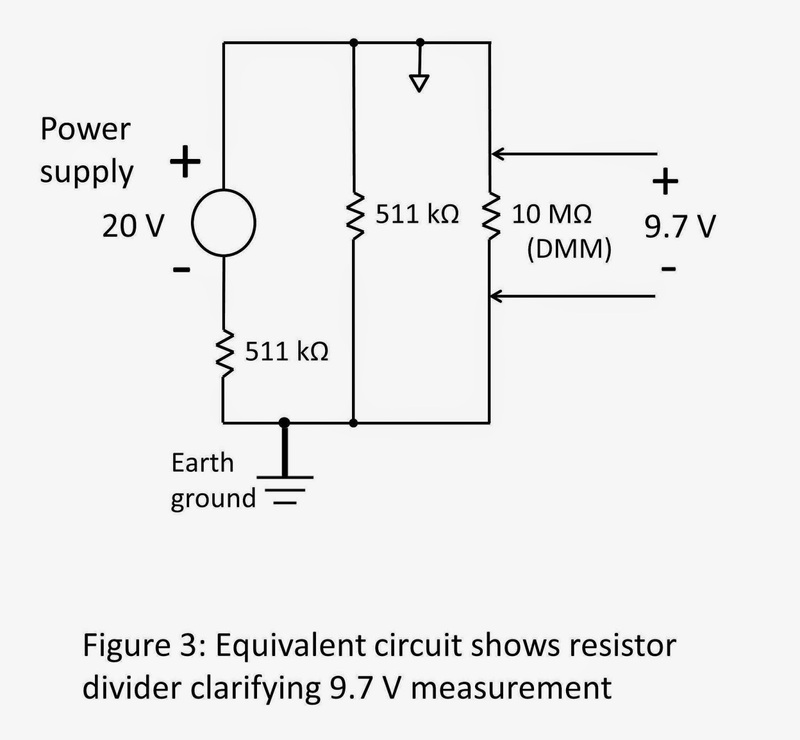 (The exact calculation results in 9.751 V.) Notice that the voltage of the 28 V power supply does not impact this particular voltage measurement (but its resistor to ground does). 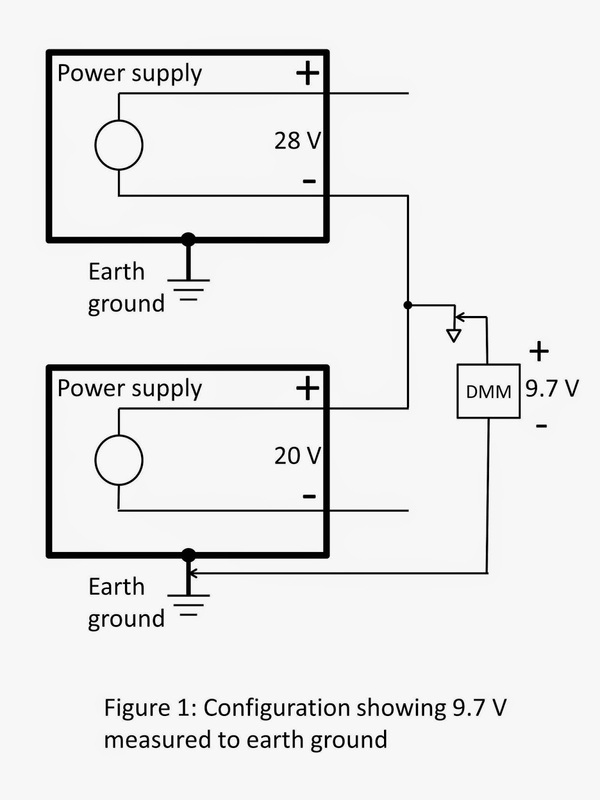 If the user had measured the voltage from the plus output of the 28 V power supply to earth ground, both the 28 V supply and 20 V supply would have contributed to his measurement which calculates out to be 37.05 V (if you check this yourself, don’t forget to move the 10 MΩ resistor accounting for the different placement of the DMM impedance). I don't understand how 9.7V Came kindly explain it. This is a basic application of nodal analysis using Kirchhoff's Voltage Law. 511 K in parallel with 10 M yields 486.2 K. 486.2 K in series with the other 511 K yields 997.2 K. 20 V across 997.2 K yields a current of ~20 uA. 20 uA through the parallel combination of 486.2 K yields 9.7 V.
If you want to learn how to successfully write a SAT essay, all you need to do is to visit this page. Good luck!